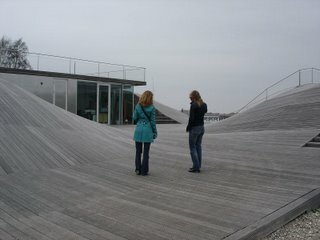 On the first spring walk we looked at Amager Strandpark, among other places, and how it has affected the area and the shoreline. 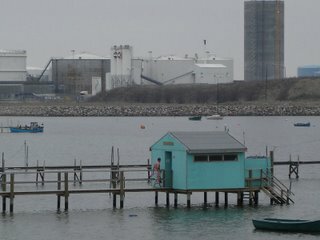 Amager Beach, which was once Copenhagen’s quite special paradise, has now been taken over by a huge shithole of a manmade beach. Amager Beach was perhaps a little rough formerly, but the slightly too shallow/malodorous beach was enjoyed by many of the glad users of Helgoland. Helgoland (1925-1994) (the turquoise green building with open-air bathing for children and separate sections for men and women) was the essence of charm and Copenhagen’s answer to the most exotic south sea shore. After a pleasant day of sunbathing one could sit in the café with the coloured lamps and watch the planes landing and taking off. 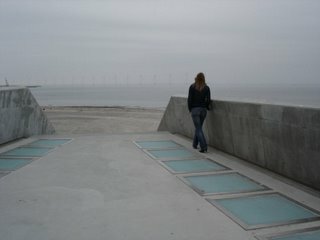 The smell of salt water mixed with windmills, the big gasometer could carry one away to a different place. But Helgoland had to give way to the artificial beach and was demolished in the late summer of 2004. 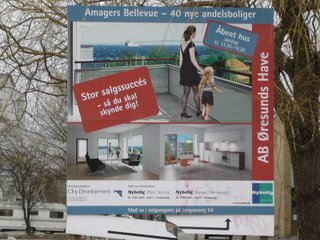 It is said that a new bathing establishment will be built as compensation for Helgoland, but one can still not see any sign of it by the new Amager Beach. On our walk we also made other good finds: luxury flats (with a few defects like crumbling bricks and rotten windows), something that looked like bunkers by the new beach, but turned out to be changing-rooms and toilets. 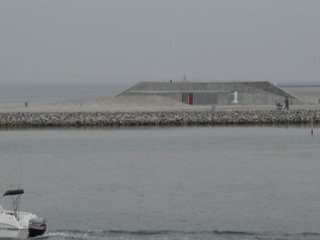 The maritime youth house, designed by the architectural firm PLOT, the yacht harbour and Pia’s sausages (we think that there might be a basis for a café latte outlet). Go there and see for yourself, and try the new beach, and if you get tired of it, go back towards Lergravspark Metro Station. 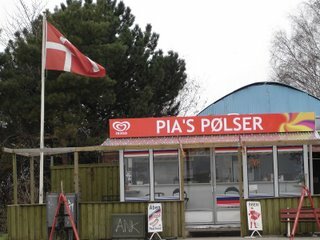 That will bring you across the disused Amager railtrack. Take a little walk down the track and you will enter a quite different world.